First Priority Audio, Inc. (FPA) delivers a turnkey approach to your surround sound, wireless surround sound. audio, video, and home automation solutions, as well as window treatments and landscape lighting design. FPA, based in Fort Lauderdale, FL, has over 16 years of experience as a family owned and operated business. We know our industry and we love what we do. We are committed to your satisfaction and are determined to ensure that you enjoy each step of your experience with us. Our team of certified and skilled individuals is dedicated to providing you with exceptional service designed around your every need! We are committed to getting your project done right the first time and in a timely manner. FPA can handle the mess others left behind. We have clients who call after other companies have over-promised and under-delivered. First Priority Audio, Inc. guarantees your satisfaction with our services, and you’ll never have to worry about cleaning up after us! Established in 2003, Vision Landscape Lighting specializes in intimate, creative and tasteful landscape lighting in Naples, Boca Raton and surrounding areas. Featuring the finest equipment in the industry, offering the best warranties available and customer service thats second to none. Our experienced team of landscape lighting professionals and Home Automation team are experts in creating plans for your home or office that utilize state of the art fixtures as well as technology. Special consideration is given to the size, type and wattage of the lights, as well as mounting techniques to protect trees and shrubs. We use only tree friendly landscape lighting that are UL listed and FCC approved equipment and take great pride in concealing the lights, wires and junction boxes visually, while allowing for tree growth and expansion. 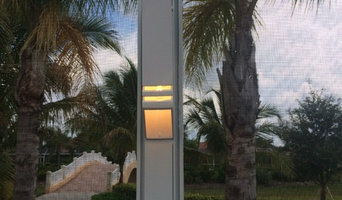 If you are interested in outdoor lighting or Home Automation that is tailored to your preferences for your home, hotel, country club or dock, look further into our website gallery to see what we can do for you. 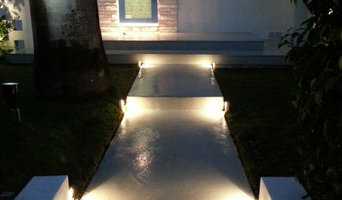 EOS Outdoor Lighting is a professional outdoor lighting company based in Miami Florida. We design, supply, install and maintain outdoor lighting systems for residential, commercial and hospitality clients throughout Southeast Florida. We specialize in low voltage LED outdoor lighting systems. We provide service to Miami-Dade and Broward Counties . Illumination FL is a family owned and operated business that has been installing quality outdoor lighting for almost 15 years. Not only do we offer landscape lighting installation but also maintenance packages to ensure you continue a long-lasting system. We take pride in our award winning workmanship and go above and beyond to accommodate our customers landscape lighting needs! We have several affordable packages available to meet your budget. Illumination FL is licensed and insured. We focus on bringing out the best in your property through various aesthetic techniques, while using top-of-the-line, money-saving LED installations and high-quality brass fixtures. Look no further for professional landscape lighting designs, money-saving installations, competitive prices, and the most sought-after products in the lighting industry. Let JM Holiday Lighting light up your holidays! We offer professional quality work to everyone who loves the holidays as much as we do, but at an affordable price. With fifteen years of experience between the three owners we have learned to use the highest commercial grade quality of lights for every customer whether commercial or residential. We specialize in our unique custom designs while accommodating all of our customers’ requests, as well as energy efficient LED lighting. Providing hands on customer service from start to finish. We deliver designed proposals to our customers within 48 hours of your initial request. We install your lighting with the utmost care and precision that our customers have grown to expect. Prompt installation, same day service calls and free removal are just a few of the services we offer to our existing clients. Hands down we offer the best quality of work and product for your dollar! HD Media Systems began as an idea in the mind of young entrepreneur, Diego Broglia In 2002 Dedicated to creating home environments, which were relaxed and welcoming to homeowners, he quickly became familiar with custom home electronics systems. When visiting construction sites, he was quickly able to identify solutions for state-of-the-art technology. On the spot he would provide accurate options, whether lighting and temperature control, home entertainment systems or security. HD Media & Security works with Developers, Interior Designers, Homeowners and commercial clients (i.e. Fitness Centers, Restaurants, Corporate Offices, etc). Your vision, Your ideas...NITEWORX technology. Discover the superior lighting quality and energy advantage of LED lighting. NITEWORX can deliver the finest quality of light that enhances your exterior surrounding in a quality fixture manufactured from aluminum, copper or brass. Our specialties include landscape lighting, outdoor lighting, low voltage lighting and LED lighting. 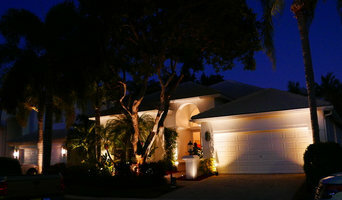 Niteworx has been serving the Boca Raton area since 1999, call Tom Schaefer today for a free estimate and consultation. With our Entryvue video intercom systems, you never have to wonder who is at your front door again. Not only it gives you and your family piece of mind and extra security, you can also use our products as an in-home intercom system to communicate from room to room with our state of the art monitors. Weather you’re planning a New Construction project or for an existing home or commercial building, it is our objective to put our experience and knowledge to work for you from the early stages of your project, right up to its completion. To us, this means that we listen to our clients, think through their needs and priorities, find solutions to any technology challenge and make your dream come true… On-Budget and On-Time. We count with two divisions served by certified and experienced personnel within our organization to carry-out any Electrical / Low Voltage or HVAC prep to code for the job in question. Today, AffiniTech serves some of South Florida’s top residential and commercial areas, led by a team of caring professionals. From single device to whole home/building automation we offer the best products in the market to guarantee a successful project that will change your life to make it easier and more enjoyable. Landscape lighting, outdoor lighting, security lighting and irrigation services. Years of field experience have enabled the lighting design professionals at Yard Sentry to become the masters of outdoor luminescence and home security. Yes, we have learned to harness the magic and power of light on behalf of both our residential and commercial clients, and our emphasis on design has become the standard of excellence within our industry. Over the years we have learned all of light's secrets and how best to harness its amazing versatility in creating spectacular outdoor theater. The result is a portfolio of inspiring images of sheer beauty. And it matters little what scale we work on. Residences and businesses large and small benefit from the mastery of our designers - as does everyone within the line of sight of our work. If you want to capture the transformative magic of light, we welcome your call. At our very first meeting you will see why we have become the leaders in our field. And yet, our contribution to your property's worth still remains the most efficient means of elevating your property above the ordinary - adding beauty and value every time day turns to night. Audio & Video Solutions has provided Professional Products and Installation Services to the best Nightclubs, Theaters and other Commercial Venues in South Florida, the Caribbean and South America since 1989, and is a recognized leader in both Commercial and Residential Sound, Video Systems and Lighting. Our well-trained professionals work to maximize the value of your investment and to ensure your satisfaction. Our customer service follows your project from the beginning design stages through end-user training upon completion, and is there to answer all your concerns throughout the process. Our showroom facilities let you see just how your system can look and sound, providing you with the opportunity for an in-depth evaluation of your investment possibilities. They provide the proof of what we can do long before you lay out a single dollar. Let us bring our knowledge and experience to your project. We welcome the chance to make you shine. BPA Lighting is an outdoor and landscape lighting company with a breadth of experience that goes far beyond the norm. Founded in 1993 by Brendan Pollard, a well-known London-based lighting designer, BPA Lighting recently expanded its client base to the coastal region of Southern Florida. 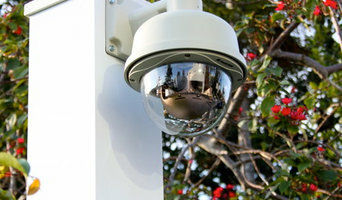 What services do Pompano Beach outdoor audio and visual system professionals provide? Home theaters are moving outdoors, too. Sports fans can grill without missing the game, and families can invite neighborhood friends over for movie nights. Special weatherized flat-screen TVs are coated to minimize glare. Imagine your Pompano Beach, FL backyard with a custom-designed outdoor theater system — complete with a large projection screen. It makes backyard entertaining easy. Find outdoor audio and visual system professionals on Houzz. Look in Houzz’s Professionals section to find Pompano Beach, FL outdoor audio and visual system experts. Narrow your search to the nearest city or metro area for a list of nearby businesses. Get contact information, read reviews and look at completed Florida custom outdoor sound system projects.